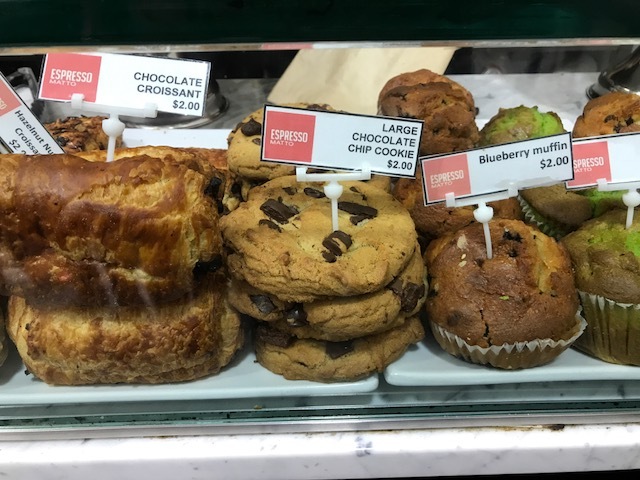 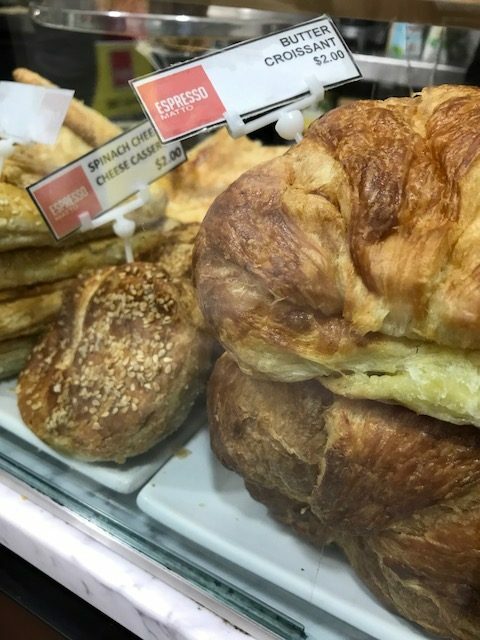 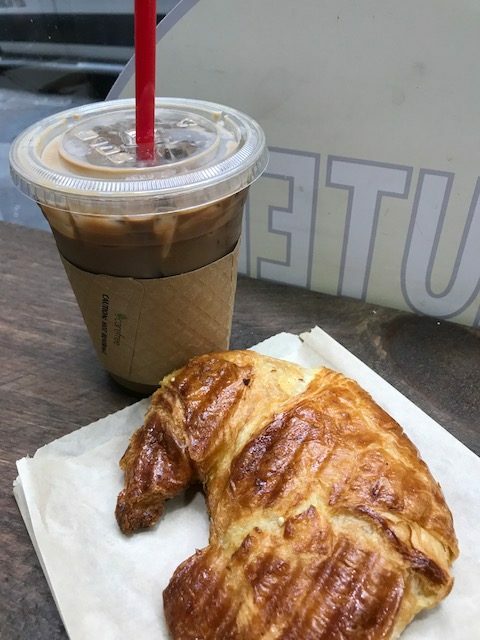 The coffee chain Espresso Matto has been opening up locations over the last few months and has recently grabbed the attention of kosher consumers for two reasons: 1) They have a kosher certification in the window & 2) Everything at the shop is $2 flat! 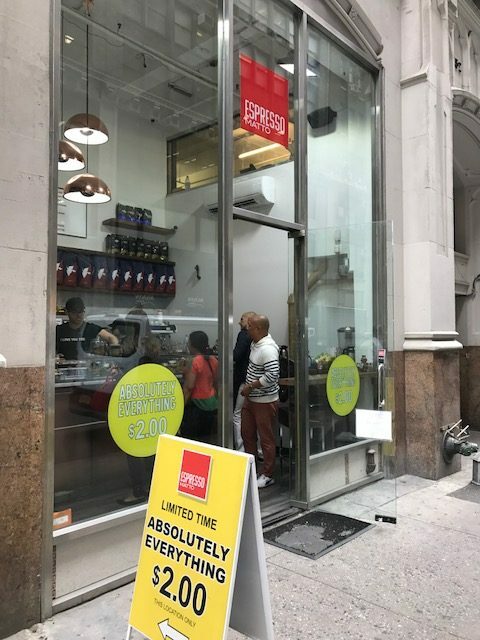 With multiple locations in Manhattan, the newest location opened up in midtown and is extremely small, with standing room only for at most 4 people. 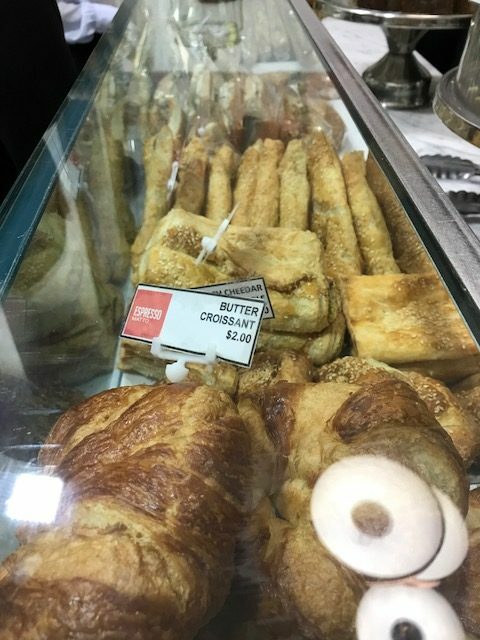 Despite its small size, the cafe packs a lot of $2 products in the store offering everything from hot and cold coffees, lattes, and cappuccinos, to half sandwiches on bread or ciabatta, to a large array of pastries including cheesecake, rugelach, croissants, muffins, and cookies (all of which they will heat up for you upon request), and more. 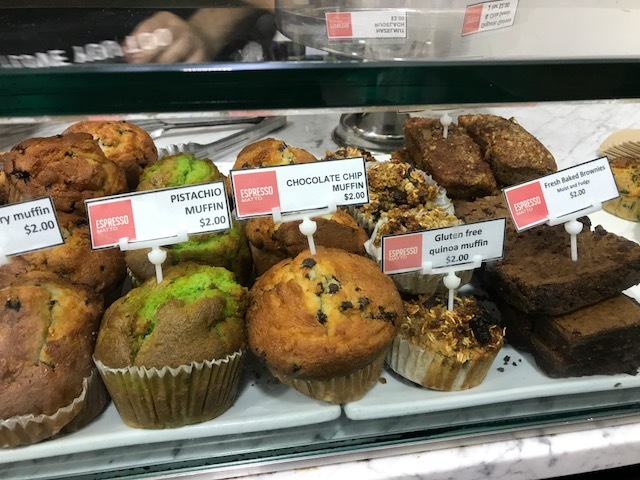 Kosher certification for Espresso Matto under Cup K, Rabbi Steinberg.